Eco comes from the Greek word oikos, which means home. Ecology is the study of the home. Economy is the management of the home. 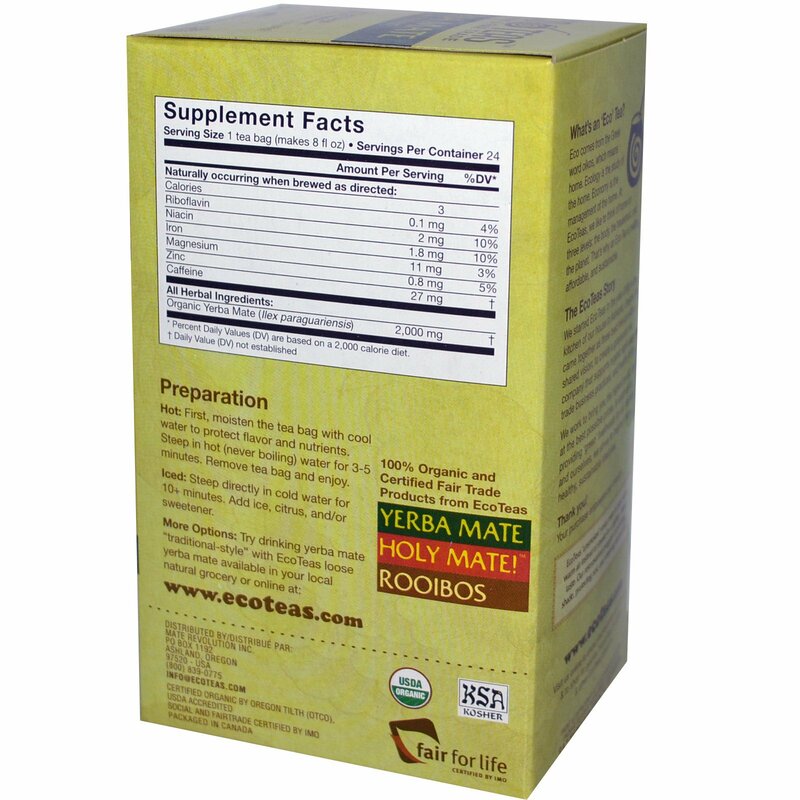 At EcoTeas, we like to think of home on three levels: the body, the household, and the planet. That's why an Eco Tea is healthy, affordable, and sustainable. We started EcoTeas in the year 2000 in the kitchen of our house in Ashland, Oregon. We came together as three best friends with a shared vision: to create a grassroots tea company that supports organic agriculture, fair trade business practices, and healthy living. 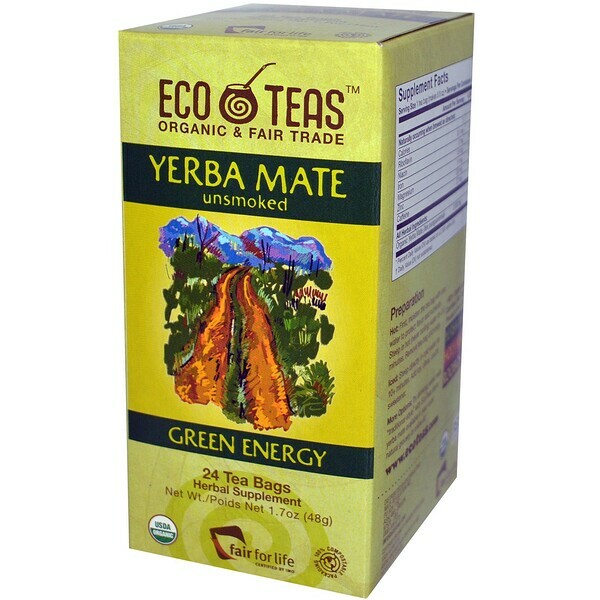 EcoTeas 'unsmoked' yerba mate is dried with warm air instead of smoke for a lighter, cleaner taste. Our reforestation program is providing shade, protecting soil. and restoring biodiversity. When brewed as directed, this tea provides an ORAC value of 3,300 umolTE/240 ml. Which is 60% stronger than a typical cup of green tea. Yerba Mate is a holly tree native to the rainforests of South America. Its leaves are brewed into a nutritious, antioxidant-rich beverage, Mate (say mah-tay), Mate is the national drink of Argentina, Paraguay, and Uruguay. People from all walks of life have enjoyed its beneficial properties for centuries. Hot: First, moisten the tea bag with cool water to protect flavor and nutrients. Steep in hot (never boiling) water for 3-5 minutes. Remove tea bag and enjoy. Iced: Steep directly in cold water for 10+ minutes. Add ice, citrus, and /or sweetener.